Branding and packaging agency Our Revolution was tasked with helping a new smallgoods brand gain an edge in the supermarket fridge. 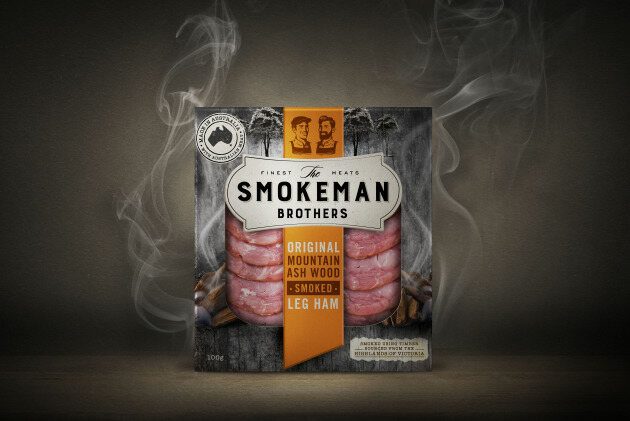 The Smokeman Brothers commissioned the design team to promote the deli meat's benefits in preparation for its rollout in Coles stores this month. Positioned as "a premium offering for consumers who want an elevated, smokey taste", the range of premium crafted meats is made in Australia, and authentically smoked using sustainable timber sourced from the Victorian Highlands and Riverina regions. With the goal of telling a passionate brand story – an obsession with smoking meats – Our Revolution was asked to develop the brand name, narrative, market positioning and packaging design. Creative director Jen Doran said the original illustration of the brothers, which features top and centre on each product, is key to the brand’s overarching identity. “We also had to emphasise the smoked flavour, which came through highlighting provenance claims by incorporating imagery that shows the literal smoke released from the wood chips and around the window, revealing the product," she said. 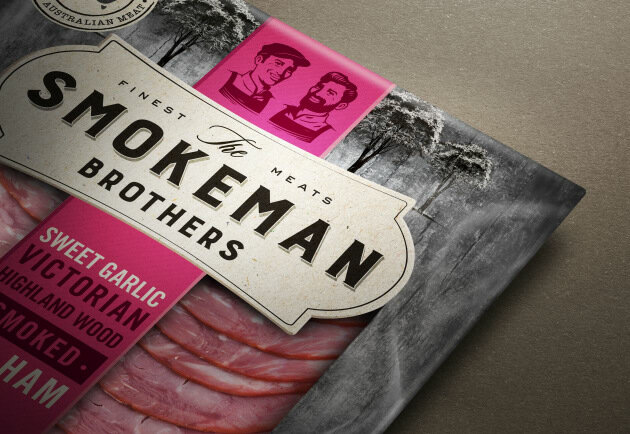 “We are very excited to launch The Smokeman Brothers brand as the proposition speaks to what artisan means to consumers." The packaging has a premium look and feel, and clearly highlights the point of difference – that is, fine meats, made in Australia, with Australian meat.